Benazir Bhutto, a former prime minister of Pakistan, led a tumultuous but inspiring life before her assassination at a political rally. Elected Prime Minister in 1988, Bhutto became the first woman leader of an Islamic country. Ousted from her post under accusations of corruption, Bhutto went into self-imposed exile in Dubai and London. Benazir Bhutto believed in democracy and wanted it rebuilt in Pakistan. She fought for it until her death in 2007. Born into the prominent Bhutto family on June 21, 1953, her father, Zulfikar Ali Bhutto, served two terms as Prime Minister of Pakistan. She left for college at age 16 to attend Radcliffe College at Harvard University. She obtained a Bachelor of Arts at Radcliffe in comparative government. She later studied philosophy, politics and economics at Oxford. Elected President of the Oxford Union in 1976, she became the first Asian woman to hold the prestigious title. Bhutto received a second degree from Oxford in 1977. Later that year she returned to Pakistan. Days after Bhutto arrived in Pakistan, then-Army General Muhammad Zia-Ul-Haq removed her father from office following a military coup in 1977. The military of Ul-Haq took over power and imprisoned her father, whom the military executed in 1979. Arrested and detained several times herself, Bhutto left for London when she was allowed to leave Pakistan in 1984. Bhutto made a home in London. While she lived there, she stayed actively involved in a covert operation with her two brothers to resist the military dictatorship in Pakistan. When her brother Shanawaz died under suspicious conditions in 1985, she returned to Pakistan for his burial. After being arrested and released again during her stay, she returned to London. When martial law ended in Pakistan in 1986, Bhutto returned to Pakistan. Many people demonstrated against Zia-Ul-Haq at the time, and she used her popularity with the public to demand his resignation. She then ran for the position of Prime Minister in 1988. 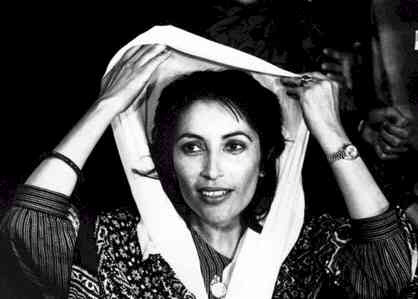 Elected to the position that year at age 35, she took over the reins of her father’s party, the Pakistani People’s Party (PPP). After serving two years of her term, then-President Ghulam Ishaq Khan forced her out of office under charges of corruption, although Bhutto never received a trial based on said charges. She launched a large-scale campaign against corruption and was elected Prime Minister again in 1993. Then-president Farooq Leghari removed her over alleged corruption scandals. Bhutto protested her innocence and maintained that the documents were falsified. Bhutto stayed the next eight years in Dubai and London. After Pervez Musharraf became president, she returned to Pakistan. Bhutto returned in 2007 to gather support to run against Musharraf. She met with several national leaders and expressed her interest in running for Prime Minister again and restoring democracy in Pakistan. She had a great desire to save Pakistan from Muslim extremist such as the Taliban and al Quaida. Suicide bombers killed more than 100 of her supporters when she arrived in Pakistan. While she campaigned against Pres. Musharraf, Benazir received many death threats and attempts on her life. 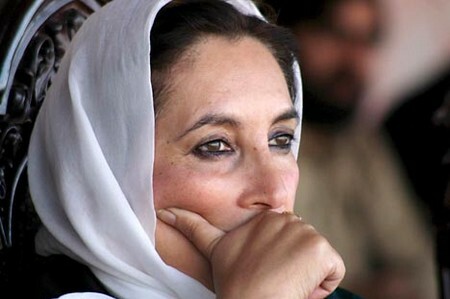 On Dec. 27 2007, she attended a campaign rally in Rawalpindi, Pakistan, to honor her, where thousands rallied to show their support for her in the upcoming election. Suicide bombers and gunmen assassinated Bhutto as she left the rally. Twenty other people died during the bombing and gunfire that occurred. really interesting or valuable. 16) Atmospheric composition: 80% hydrogen, 19% helium, 1. It should remain noted regarding he had been any five-star basic. will likely be provided with these men and women. 16) Atmospheric composition: eighty% hydrogen, nineteen% helium, 1.
becoming the color; the laugh was it was will color out of their bras. This feature provides the quick access towards the friends with similar face structure. Regardless of a person post upon FB, they claim that the rights inside — including visual arts, photography, images of creative works in any medium and sounds.